The Government of Luxembourg and U.S.-based asteroid mining company Planetary Resources have recently inked a nearly $28 million deal expected to accelerate the firm’s technical advancements. The investment announced on Thursday, Nov. 3, secures funding for research and development toward the company’s primary goal of mining resources from near-Earth objects (NEOs), with the aim of launching the first commercial asteroid-prospecting mission by 2020. The investment was made via Société Nationale de Crédit et d’Investissement (SNCI), a banking institution and includes a direct capital injection of $13.3 million, while the rest will be paid in the form of grants. “The Grand-Duchy of Luxembourg becoming a shareholder in Planetary Resources seals our partnership and lays the ground of the principles of our cooperation in the years to come, while demonstrating the Government’s strong commitment to support the national space sector by attracting innovative activities in space resource utilization and other related areas,” said Étienne Schneider, Luxembourg’s Deputy Prime Minister and Minister of the Economy. The agreement fulfills the intent of a memorandum of understanding signed in June 2016 between Planetary Resources and Luxembourg’s SpaceResources.lu initiative. One month earlier, the U.S.-based established a wholly-owned Luxembourg-based subsidiary named Planetary Resources Luxembourg. “We are excited in welcoming the Grand Duchy as a partner and an investor. 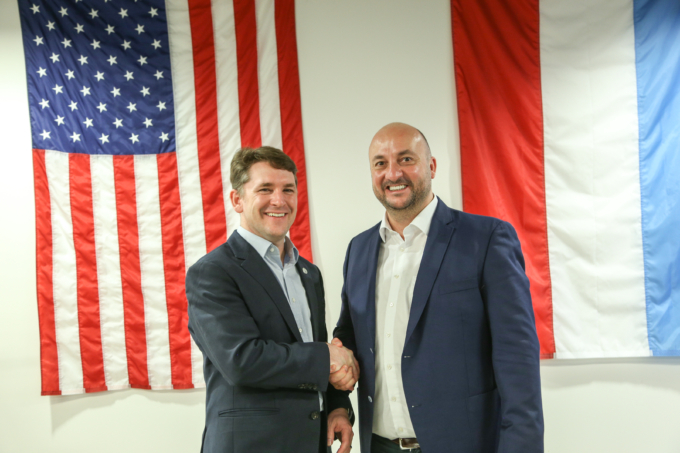 Just as the country’s vision and initiative propelled the satellite communications industry through its public-private partnerships, this funding and support will fast-track our business – advancing and building upon our substantial accomplishments,” said Chris Lewicki, President and CEO, Planetary Resources. He added that his company remains on track to launch the first commercial asteroid-prospecting mission by 2020 and looks forward to collaborating with its European partner in this “pivotal new industry”. Luxembourg and the U.S. are, so far, the only two countries who have set out a legal framework regarding asteroid mining. However, unlike the U.S., Luxembourg law will also secure rights of foreign corporations that are established in this small European country and are willing to extract resources from space rocks. Planetary Resources, Inc., is a Redmond, Washington-based company whose primary goal is to expand Earth’s natural resource base by developing and deploying the technologies for asteroid mining. The company is currently working on a thermographic sensor that will precisely measure temperature differences of objects on Earth, which will be crucial for future commercial asteroid prospecting missions. This sensor will acquire key data related to the presence of water and water-bearing minerals on asteroids.